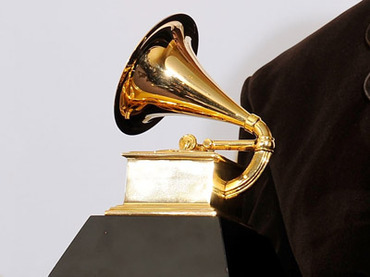 Music teachers are now eligible for a Grammy honor of their own. "We're dedicated to preserving the great music of the past, present and future," he said. "Music education is perhaps the most vital part of the Grammy Foundation's mission." Kindergarten through college teachers are eligible for the new annual award, which will be presented at a special ceremony the day before the Grammy Awards. Students and colleagues can nominate candidates online. Thursday's event, dubbed "Play it Forward," featured performances by Dionne Warwick, LeAnn Rimes, Emmylou Harris, George Thorogood and the Destroyers, Yolanda Adams and Lupe Fiasco, who is up for best rap album at this year's Grammys. Adams, who performed two rousing songs backed by a gospel choir, thanked the Grammy Foundation "for preserving the authenticity of all music." She cited Warwick and Aretha Franklin among her music heroes. Other artists shared their musical inspirations in video clips that punctuated the program. Ike Turner cited Pine Top Perkins, Quincy Jones named Billy Carter and Isaac Hayes recalled Minnie Pearl. Buddy Holly inspired Waylon Jennings and Bootsy Collins was moved by the guitar work of Lonnie Mack. The 55th annual Grammy Awards will be presented Sunday at Staples Center and broadcast live on CBS.